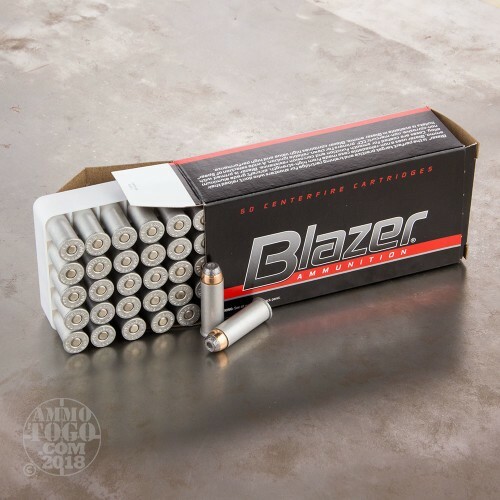 This 44 Mag cartridge by Blazer features an aircraft grade aluminum casing. It’s heat treated and incredibly durable, so you needn’t worry about a 44 Magnum pistol’s considerable chamber pressure turning it inside out. 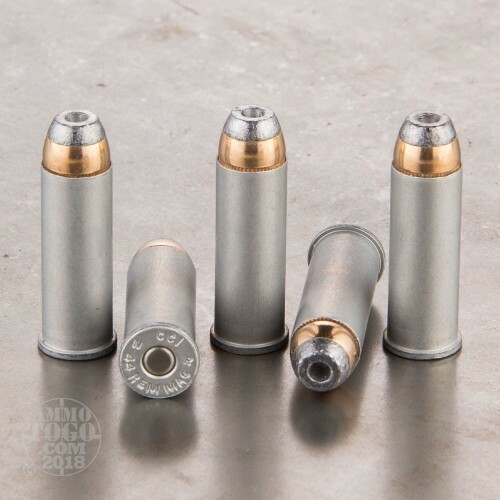 Its casing also makes this round substantially less expensive than a comparable brass cased one, and lighter as well for that matter. Sure, you won’t be seeing it at your reloading bench, but its benefits make it well worth the investment. 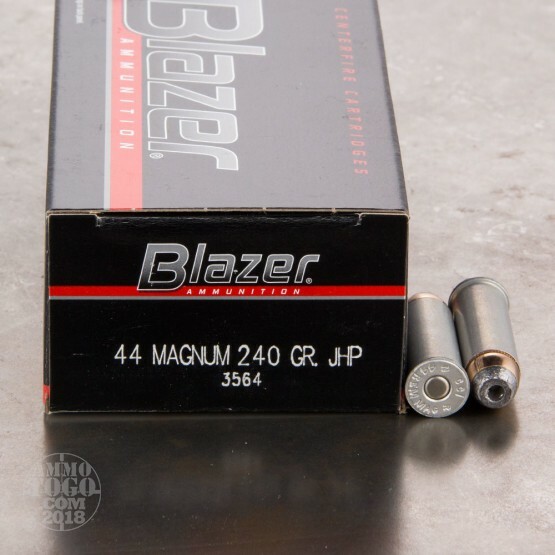 This round is crowned with a 240 grain jacketed hollow point bullet. Its jacket will facilitate penetration within a variety of tough targets, and its flat nose will deliver stellar energy upon impact as well. 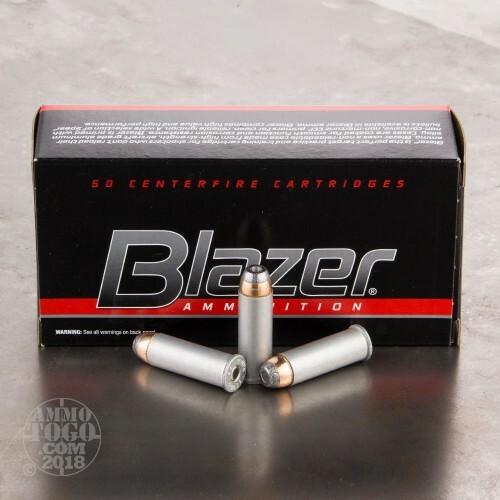 During penetration the jacket will control the devastating expansion caused by the bullet’s hollow point, making this cartridge a fine solution for self-defense. This round’s CCI primer assures reliable ignition, and is non-corrosive in order to spare your action and bore from gradually getting eaten away.